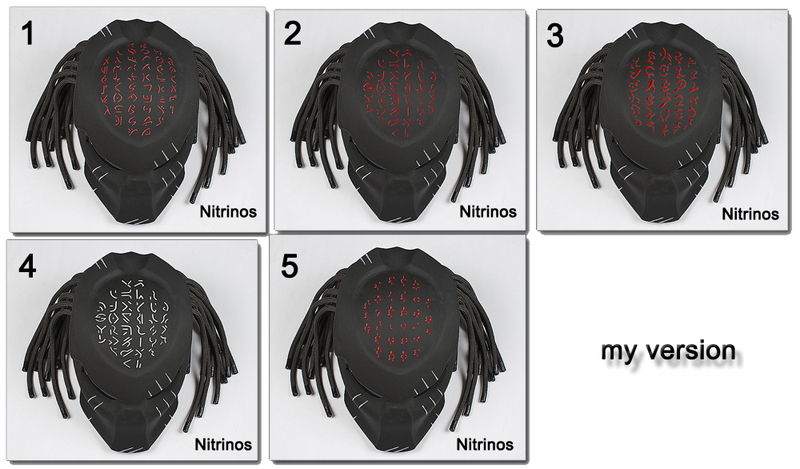 Modification of the legendary Nitrinos helmet – Predator Cross. We made that helmet for fans of active driving on motorcycles, ATVs, snowmobiles. 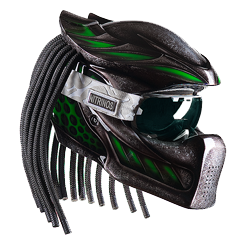 The main feature of the Predator Cross helmet – the possibility of removable glasses usage. Helmet shell made up of several layers of fiberglass and Kevlar. Permanent ventilation for head blowing and removable inner part of the helmet for exploitation comfort. 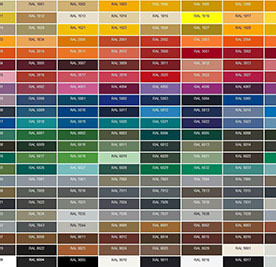 Unlimited variations of helmet painting create a completely exclusive helmet for you. Basic configuration. 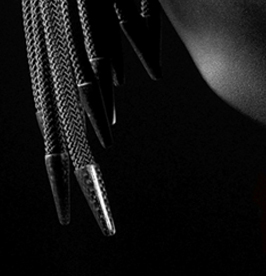 The Predator Helmet Cross in the base configuration is matt black. 20 durable nylon dreadlocks of black color, 34 cm long. Chin strap fastener – Double D. The weight of the helmet with dreadlocks – 1750 grams. The helmet is equipped with fleece cover. Glasses are not included. 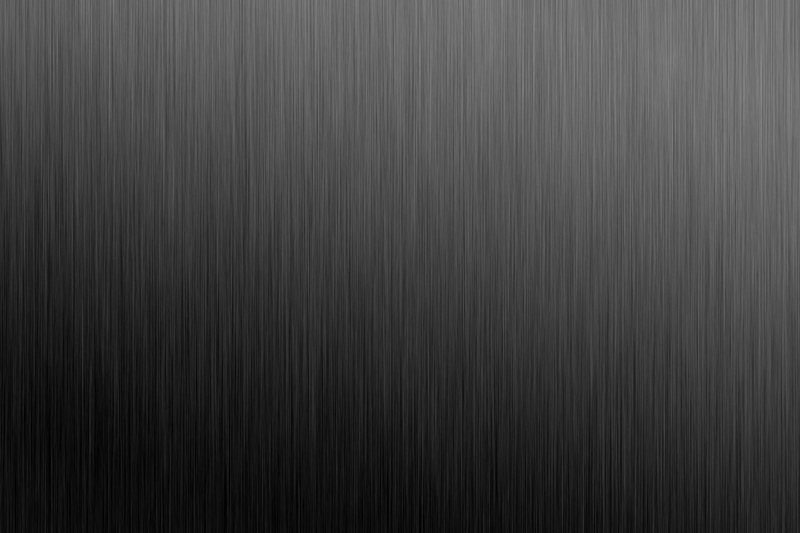 The cost of the helmet in the base configuration – 650 usd. 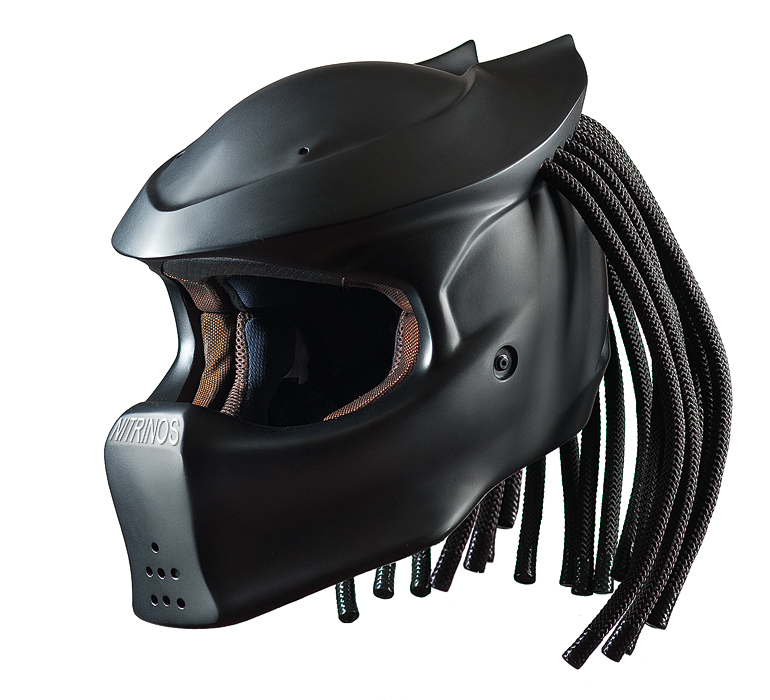 The “Predator Helmet Cross” is unique for its additional options. They are also available. Each option has its own cost which is added to the base cost ( 650 usd ) of the helmet.